The broom cluster fig is tree of Africa bearing edible fruits. It is mostly grows wild. 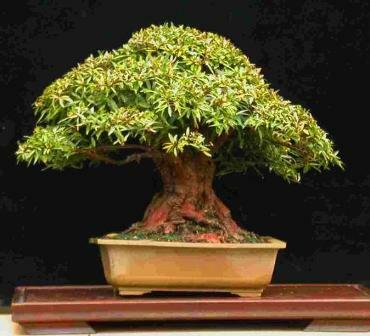 It is also planted in gardens only as a garden plant but not as a orchard tree. Broom cluster fig is a large, fast-growing, evergreen tree, reaching up to 35 m high, with large, oval, green leaves borne on a massive, spreading crown. Figs are produced from September to March (South Africa) They are borne in large clusters mostly low down on the trunk and can even appear at ground level arising from the roots. The relatively large sized figs readily eaten by local people when they turn pinkish and soft. Fig jam (or preserve) can also be made from the fruits. 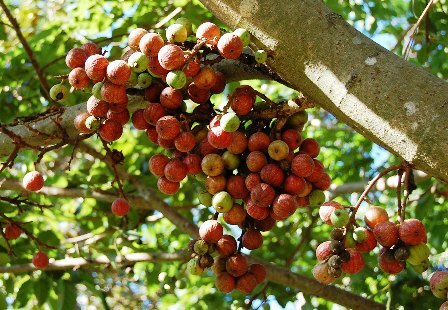 Local people claim that the fruits which form on the roots are the sweetest. The wood is used as a base by bushmen as part of the equipment necessary when igniting fire by friction. The wood of the broom cluster fig is soft and white and has been used for making mortars for grinding flour as well as making drums. It’s soft texture made it ideal for the making of brake blocks and bed boards for ox wagons. In modern times this tree is used most extensively as a shade tree. It is believed to have magical powers and is used in many rituals by local people. 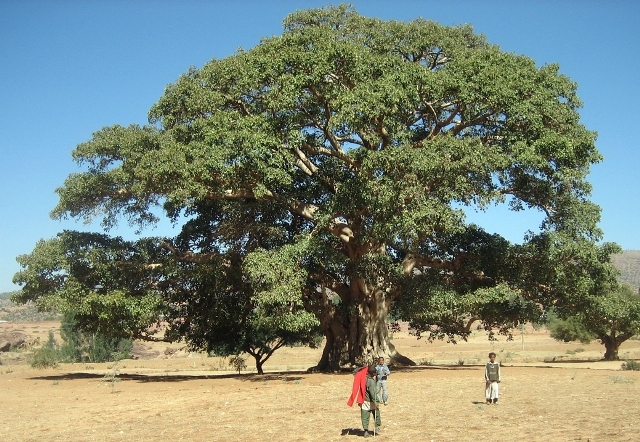 The broom cluster fig is large tree. It is therefore ideally suited to large estates such as golf courses and parklands. The tree is fast growing and enjoys plenty of water and full sun, however it is a forest species and therefore can tolerate partial shade especially when the trees are young. It is propagated by seed. The seed can be obtained by cleaning it away from the fruity part of the fig, This can then be sown on a fine medium and not covered. The seed germinates quickly and seedlings can be transplanted once they are a few centimetres high. Once planted into larger containers the saplings grow fast and may stand about 1 m or more after their second year of growth at which time they may be planted in field in open ground in frost-free areas. Cuttings and truncheons can also be rooted with relative ease; these should be taken in the spring and rooted in sharp sand. Mature trees of considerable size have been transplanted with success, although large trees inevitably have to be severely pruned to facilitate transplanting, often scarring them for life. In such cases it is probably better to plant young trees, which will grow fast and make more beautiful, mature specimens.